Former Bank of England Governor provides valuable insights into the UK and global economy at black tie dinner. 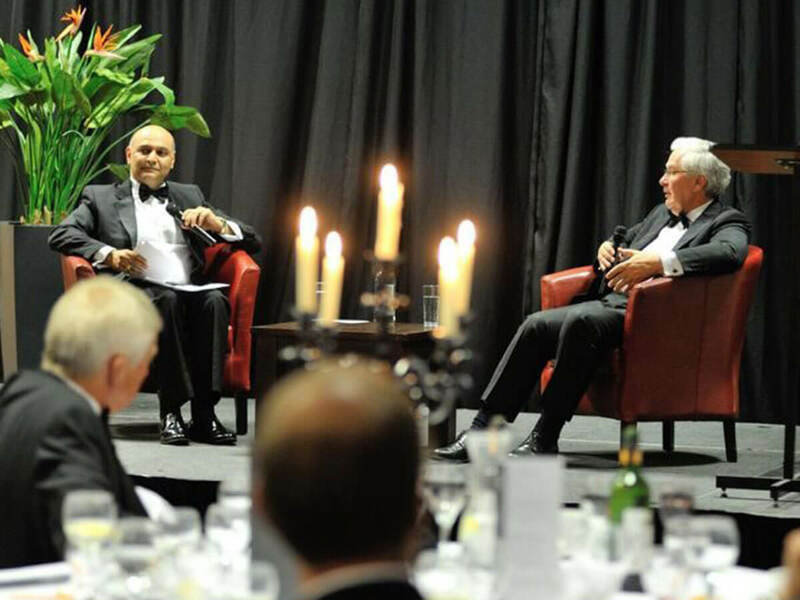 Lord Mervyn King was interviewed by Dr Nik Kotecha OBE, Chief Executive of Morningside Pharmaceuticals Ltd, during the event at Leicester County Cricket Club’s Grace Road ground. A number of local and national businesses came to listen to Lord King and ask some questions as he gave a fascinating talk. Dr Nik Kotecha’s Q&A with Lord King, who was Bank of England Governor for 10 years, was filled with various topics from the economy to politics and from Brexit to sports. The 45 minute long Q&A gave all attendees an insight into many of Lord King’s views and experiences – answering all of the questions asked with integrity and honesty. Dr Nik Kotecha said: “It was a great experience to host the 45 minute long Q&A with Lord Mervyn King, he is a charming man. All the questions asked from the economy to sports, including his resignation from Aston Villa Football Club were answered with honesty and it gave everyone a good insight. Lord King left his office as the Governor of the Bank of England on June 30th2013, and was replaced by Mark Carney. He was appointed a life peer by Queen Elizabeth II for ‘contributions to public service’. Mervyn King entered the House of Lords on July 22nd2013 as a crossbencher, taking the title Baron King of Lothbury.